Fall is approaching, which means it’s time to get your flu immunization. Influenza, also known as “the flu,” is a contagious respiratory disease caused by the influenza virus, which affects the nose, throat and lungs. Every year in the United States more than 200,000 people are hospitalized with the disease, according to the Centers for Disease Control and Prevention. In fact, the 2017-2018 flu season exceeded previous years’ hospitalization rates with over 30,000 confirmed cases from October 2017 through April 2018. Individuals who are at high risk for developing flu-related complications should exercise particular caution during flu season. Children under age five, adults 65 and older, pregnant women, people with chronic medical conditions and people who live in nursing homes or long-term care facilities are especially susceptible to complications related to flu. The best way to prevent getting and spreading the flu is to get vaccinated. It’s best to get vaccinated as early in the season as possible as it takes about two weeks for antibodies to develop after getting the immunization. The composition of flu vaccines is reviewed annually and updated to protect against the season’s most commonly circulating viruses. For the 2018-2019 season, injectable vaccines are once again being recommended over nasal mist vaccines. Washing your hands regularly in warm, soapy water and avoiding contact with your face, mouth and eyes. Arm yourself with an alcohol-based hand sanitizer when you are not near a hand-washing station. Avoiding close contact with people who are sick. When you are sick, stay home to protect them from getting sick too. Covering your mouth and nose with a tissue when coughing or sneezing to prevent people around you from getting sick. Practicing other good health habits, such as disinfecting frequently touched surfaces at home, work or school. Get plenty of sleep, exercise and fresh air, manage your stress, drink plenty of fluids and eat nutritious food. Because the flu virus changes every season, it is important to stay current with your vaccinations each year. Practicing good cleanliness habits and healthy routines can also help keep you and your loved ones healthy throughout the season. Flu vaccines will be available from Las Vegas Medical Group beginning October 1. For information about scheduling a vaccine, please call 505-426-8010. 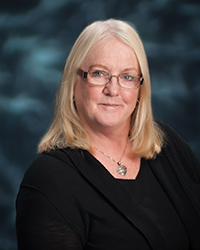 Wietske Moore is a nurse practitioner at Las Vegas Medical Group – Family Medicine.